When the Kommen app was developed, the aim was to make life easier for people; especially busy people. Kommen helps you schedule Uber taxi for up to 30 days ahead and you can also schedule up to 5 rides at once in any Uber city. The app is a third party user app that works hand in hand with the Uber rider app to elevate your Uber passenger experience. Although it makes the development phase easier to be in the driver’s seat and decide what the app should like, the tricky part is what the users feel about the app. In a bid to get a feel of the Kommen app from a user perspective, we reached out to one of Kommen’s regular users to share his experience with us. Kommen user Andrew works in a photo center and uses Uber at least once a week in New York City and sometimes in Oklahoma. Since Kommen was designed for busy people, the app has made for a more effective transportation option for him. What situation prompts the use of Uber and Kommen? Andrew also uses Kommen to request rides for immediate use and schedule rides ahead of time as well. Although Uber has integrated the “Schedule Uber” function into its app, this function only works in selected cities and not all cities Uber operates in, so Kommen helps him get rides when he books ahead in every Uber city. Since Kommen offers just about the same functions as the Uber app and is just as reliable, he uses both apps simultaneously. He describes the “schedule Uber” function in the Kommen app as very useful, reliable and easy to use. Andrew suggests that Uber gift cards be given as a reward to Kommen users who recommend the app to others and get them to download the app. Seems fair right? He also suggests that an affiliate program will also improve app downloads. For any business to thrive and satisfy consumers, it’s important to listen to customer feedback and complaints. Kommen is a relatively new app and still working out some kinks to improve the service. Some improvements will need to be made to the app to simplify Uber booking. Andrew believes that notifications for the app and reminders as well should be integrated with email. This is certainly something to be considered as reminders via email will act as some sort of record keeper for the app user. With the Uber app, passengers can request rides from registered Uber drivers and get picked up in their various locations. To start using the Uber passenger app is not actually a difficult process. You just need to go through a couple of steps and you are on your way to hailing your first Uber ride. Proceed to create an Uber account on the Uber app (It is free). Signup and enter your credentials, you’ll need to enter your name, email address, phone number, and your credit card information (depends on your city). Follow the login prompt and you will be asked to enter the details you provided above and like that you are ready to request a ride. This involves choosing the Uber service that suits your need. Available Uber options include UberX, UberXL, UberSELECT, UberBLACK and UberPOOL (to name a few). Depending on your city, you may find 1 or more of the services listed above on the Uber app or you may find other services peculiar to your city. 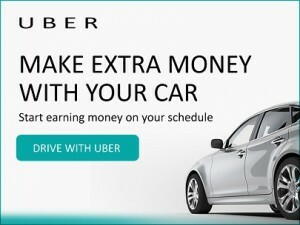 The default Uber service- UberX, is for the budget-conscious rider because you will be riding in a normal car. Other services have different types of cars assigned to them. The UberBLACK service for example comprises of premium black cars. Set your pickup location you can choose it manually or use your GPS to make it automatic. Once you have confirmed where you want to be picked up, you will have to confirm the order. Select final destination. Enter destination in the search bar and drop the pin there. Uber shows you an estimated fare to help you decide if to continue with the trip or cancel. We will like to introduce our Kommen app that allows Uber passengers prebook Uber for up to 30 days away. You can even schedule 5 rides at once nd your Uber driver will be on time to pick you up for every scheduled ride. Kommen is an android based app that also allows Uber riders request rides. Log into the app once with your Uber account and we will subsequently call rides on your behalf. If your Uber driver cancels for any reason, Kommen will request another ride for you at no cost.